Show your loved one how much you care. This month’s special also includes a free facial massage which includes an indulgent chocolate and strawberry mask. Enjoy the ultimate pampering with this amazing treatment as 9 high quality essential oils are slowly dropped like rain onto the spine and feathered gently into the skin. Reiki and aromatherapy massage techniques are used to soothe the body and mind. Hot stones and hot towels complete this blissful experience. Eminence News – Feb 11 Orders! Eminence orders will be placed on February 11, 2018. Please check your supplies and let us know if you need any help selecting the right products. Enjoy a FREE Starter Kit with every purchase over $200 (choose from clear skin, firm skin, bright skin and calm skin kits). Accelerate the exfoliation process with this incredible award winning enzyme peel that removes dead skin cells, reduces the appearance of pigmentation, fine lines and sun damage. 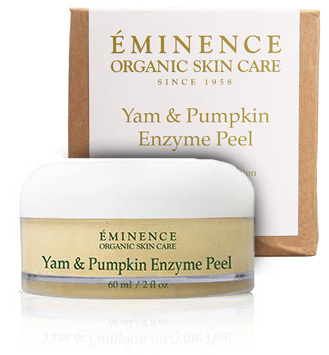 This delicious purée of yam and pumpkin will leave your skin looking firm and radiant. Enjoy extra samples in your Eminence orders this month! 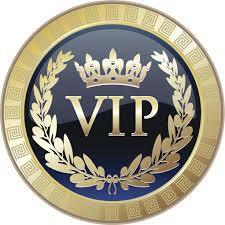 We have some amazing VIP specials coming in the next few months that you won’t want to miss! At the request of our clients we are bringing Shellac back starting at $35.00 for an Initial Shellac Manicure. Includes nail shaping, cuticle clean up, shellac appication, a hot towel and relaxing massage of the hands and forearms.